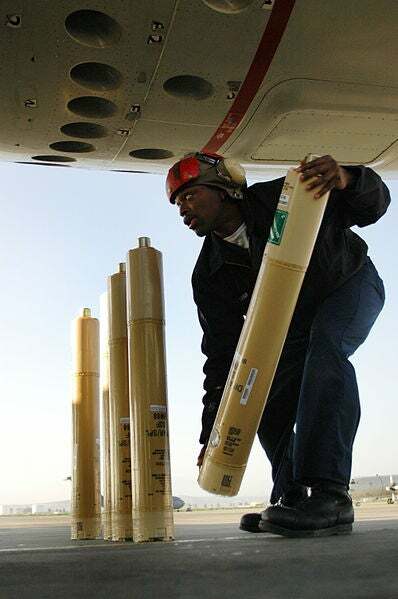 Sparton and Ultra Electronics (ULE) subsidiary USSI joint venture, ERAPSCO has been awarded a contract for supply of sonobuoys to the US Navy. Under the $5.8m contract, the company will manufacture and supply unspecified units of its AN/SSQ-53F directional frequency analysis and recording (DIFAR) and the AN/SSQ-62E Directional command active sonobuoy system (DICASS) sonobuoys to the navy. Around $2.8m of the total sum will be awarded to Sparton Electronics Florida, while USSI will receive the remaining $3m. Sonobuoy’s are primarily designed for detection of acoustic emissions or reflections from enemy submarines and subsequent transmission of the signals to US Navy’s airborne antisubmarine warfare forces. Combining capabilities of both AN/SSQ-53D and AN/SSQ-57 sonobuoys, AN/SSQ-53F is a passive acoustic sensor used for detection, classification, and localisation of enemy submarines during peacetime and combat operations. "AN/SSQ-53F is a passive acoustic sensor used for detection, classification, and localisation of enemy submarines during peacetime and combat operations." Capable of operating in three available acoustic sensor modes, the multi-functional Nato A-size sonobuoy augments the underwater acoustics, in addition to offering directional data necessary for establishment of bearing to the source of the acoustic energy. An A-size, expendable, non-repairable, command activated sonobuoy, the AN/SSQ-62E DICASS is widely used for the final localisation and attack phase of submarine prosecutions. An upgraded version of AN/SSQ-62D DICASS, the sonobuoy features command function select (CFS), which enables transmission of ultra-high-frequency (UHF) radio commands to the sonobuoy, modifications to RF channel frequency and associated sonar channel frequency amongst others, offering improvements for both deepwater and littoral ASW environments. Both Q53F and Q62E sonobuoys are used to support US Naval Antisubmarine Forces. Manufacturing work will be carried out at both Sparton’s facility in DeLeon Springs, Florida, and USSI’s Columbia City facility in US, and is expected to be complete by January 2015. Image: A P-3 Orion aircraft being loaded with sonobuoys. Photo: courtesy of US Navy, by photographer’s mate 1st class John Collins.